Today Apple has updated its website with a new design to inspire its customers with a wonderful selection of products as gifts for Christmas this year 2017. The company of the bitten apple is recommending accessories, bags, gadgets, devices and other products for people who want to get ideas when choosing gifts for their friends and family this Christmas. 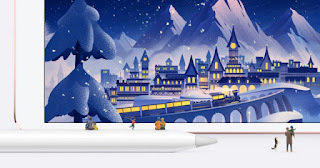 The Apple gift guide for Christmas this year is very complete, among the different ideas recommended by the firm of Cupertino we find AirPods, covers for iPhone X, Apple Watch 3 , straps for smartwatch, iPad Pro , keyboards for the tablet, leather cases, MacBook Pro, Apple TV 4K , Beats headphones, and the traditional iTunes gift cards. Apple gift ideas are especially useful for all those friends and family who already own an Apple device. For example, if a family member has an iPad Pro, you will be able to give them a wonderful leather case with a blue color at night. But, in addition to the products that Apple has recently launched to the market, the company of the bitten apple has also introduced Christmas gift ideas with products from other companies. 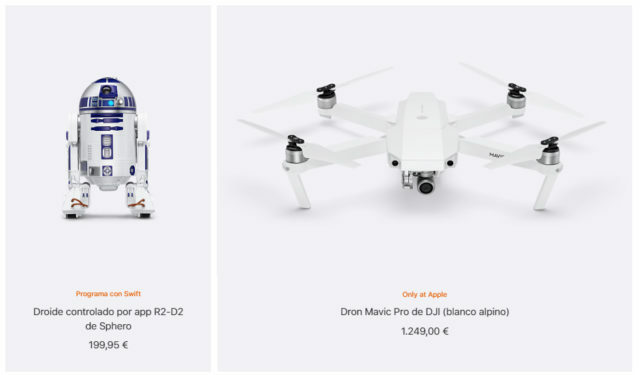 So, in the Apple gift guide , we can find a controlled Droid Sphero with the appearance of R2-D2 for 199.95 euros, a spectacular Mavic Pro DJI for 1,249 euros and up to a wireless charging base of Belkin for 64.95 euros. From Apple they also invite you to give away a mini photo printer for 159.95 euros or a nice stick for pink gold selfies for 39.95 euros. Technology gives us a lot of gift ideas! Christmas is approaching and is an ideal occasion to give this type of product to your closest friends. Have you already chosen your ideal gift? What will you buy this Christmas?